Concerning the CRIMINALLY CORRUPT Ron L Svaty, reproduced below are emails exchanged with the KS Disciplinary Office, where the answer to multiple choice question posed (highlighted below) is some combination of (a), (b), (c) and (d). What we have here is more evidence of a broken municipality rife with stifling corruption and an overwhelming example of kakistocracy. The asinine response from the KS D.O. is highlighted below in yellow. Evidence of Svaty's Paternity Fraud is overwhelming and irrefutable and I am not going to tolerate these corrupt Kansas public officials IGNORING THE OBVIOUS any longer. FALSE -- Your Office of the Disciplinary Administrator handles disbarments, which is what is ALSO sought on this MENACE to the public, Ron L. Svaty. You should be up in arms about an OBVIOUS CRIMINAL judge. The evidence is cogently articulated and a paint-by-numbers foundation upon which to prosecute this DESPICABLE PSYCHOPATH. And while you are at it, reinstate the complaint against his partner in crime in this Paternity Fraud . . . Jane Isern --- you were earlier provided extensive details BUT DID NOTHING. What we have now is a crisis, and you can be sure I'm going to make a lot of people's lives miserable, if Svaty isn't stopped ASAP -- I first warned you about this REPREHENSIBLE AMORAL SUB-HUMAN back in 2011, and you did NOTHING. And if you bothered to read what was sent to you, you would have seen it was also sent to the "judicial building". Please identify who you are, as I do not suffer the anonymity of cowardly bureaucratic fools well. If the answer is (e) you need take action to REMOVE THIS MONSTER SVATY NOW ! This office doesn’t take complaints on Judge’s. The judicial building does. As noted below, an expanded criminal,complaint has been filed with the FBI against a dangerously rogue district court judge in a rural county of Kansas I have never stepped foot in and I frankly need you to intervene and STOP THIS MONSTER . . . . his name is Ron L. Svaty, who is a disgraceful alumnus of Stanford Law School. [Note: Don't be fooled by this credential, as Bernie Madoff's reputation was considered beyond reproach as the head of NASDAQ, and we all now know the true character of Madoff . . . the same holds true for "Psychopath Svaty", which is an alliterative I want embedded in your minds.. I want to be clear about this . . . I FEAR FOR MY LIFE, and your failure to take action when I earlier warned about this DANGEROUS public official on several occasions has now elevated this matter to a CRISIS LEVEL. And if I end up dead , my blood shall be on YOUR hands. As I have inculcated, Mr. Svaty's acts are intended to cover up a scandal of epic proportion, which I am blowing the lid off with my upcoming book, Cannibals In White Shoes..
With this submission, I am making an impassioned PLEA FOR HELP, as I genuinely FEAR FOR MY WELFARE, LIBERTY AND LIFE, resulting from the heretofore unrestrained psychopathic criminal acts of a rogue judge from rural county in Kansas I have NEVER stepped foot in! Importantly, the appeal process in this charade was also rigged (dismissed so no evidence would be submitted for review by others), and headed up by a complicit co-conspirator (Bob Corkins), against whom a Federal “Color of Law” indictment was also filed. In addition, I have had no funds available with which to hire an attorney to stop this canard, thus I have been defenseless throughout this period of harassment by Svaty, dating back to the Spring of 2011. Accordingly, I hereby submit this CRIMINAL, CIVIL & ETHICS complaint against Ellsworth County (KS) District Court Judge Ron L. Svaty, including hundreds of pages of overwhelming and irrefutable evidence (for anyone who bothers to look). This evidence is incorporated by reference via website posting, and offers clarifying context to Svaty’s crimes, along with hyperlinks to the evidence. For those with hyperlink access, click here . . . More Criminal Charges And Ethics Violations Filed Against Corrupt Judge In Rural Kansas . . . RON L. SVATY ) . 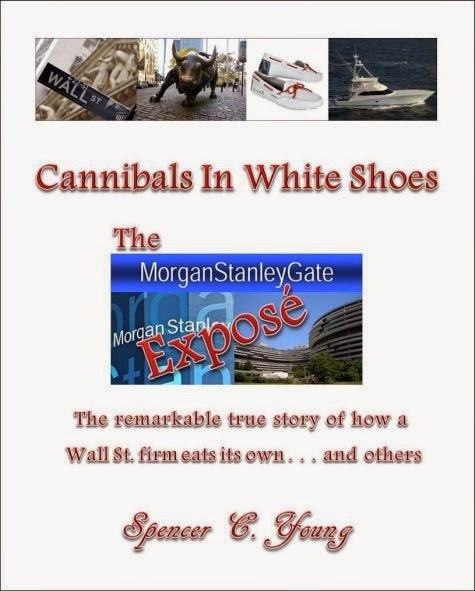 while those without direct hyperlink access, the associated URL is http://www.morganstanleygate.com/2014/10/more-criminal-charges-and-ethics.html ]. This centralized access point is regularly updated with additional evidence as it becomes available, and is driven in part by Mr. Svasty going to outlandish lengths to cover-up his crimes. 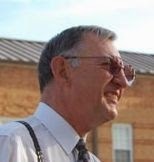 Mr. Svaty has abused his vested authority and undermined the public’s trust under the “Color of Law” through an orchestrated Paternity Fraud whereby the facts are overwhelmingly obvious that Kansas has NO JURISDICTION WHATSOEVER, and where Mr. Svaty’s actions are intended to aid, abet and cover up the felonies of others across state lines, including a five-time felon in North Carolina, who is also the plaintiff “pawn” in Svaty’s audacious Paternity Fraud. This malicious wayward judge recently UNLAWFULLY deprived me from access to my already limited funds, such that I am no longer able to support my 88 year-old mother nor pay for my own living expenses. This is an OUTRAGE, and should NEVER occur in America . . . the land of the free. I request that you intervene IMMEDIATELY, ARREST Ron L. Svaty, DISBAR him and PROSECUTE him to the fullest extent of the law.